Early in my blog career I made a party dress out of some changeable silk dupioni my mom had leftover from a cousin's bridesmaid dresses. I only had about a yard, I think, but it was enough to use McCall's M5806 with a contrast (elastic) waistband. I never really like it that much once it was done, and never wore it. Now, more than a year later, I pulled it out of the closet and remade it. I think it's much better now. I still wonder about the contrast of the purple/orange silk and the black, but it would be fun with some black accents worn with it. What do you think it would pair well with? I lacy black shrug with some matching fabric flowers for the hair or as a pin. Oh, and a pair of black heels! oh i love it! It fits you beautifully! What a difference! It looks 100% better. Nicely done! ooh awesome remake! the pleats really add so much - definitely remembering that. great job! and i think it looks great with the black. It looks so modern and up to date now. Love it. I love it, the black goes with the colour for the fabric really well. It would be great with a shiny or velvet purse. It gives me hope to see this, some of my first attempts at sewing were not that great but now I could go back and re-fashion them! This looks fab by the way- I love contrasting colours on dresses. Much better now - much more flatering! oh i LOVE the re-do!!!! 1000 times improved!!! The changes you made really made a huge improvement on the overall look. I am very impressed!!! You should definitely feel proud to wear this dress. Oh it's lovely!! you are soo talented! What a difference a year can make! So much better. Wow! It's awesome! I bet you could maybe even pull it off as a work dress if you put a blazer on over it. This one looks a lot better. Good job. I agree! I like this version much better! nice job. Better! And with black accessories it will be even better. It looks great! Much more flattering. And the black contrast goes wonderfully. That is so adorable! You did an amazing job. What a difference. It's wonderful. this dress is wonderful! love it! I love to sew too and your blog is a real inspiration! kisses! Definitively another dress! Great transformation, good for you! Much better and more contemporary shape now. 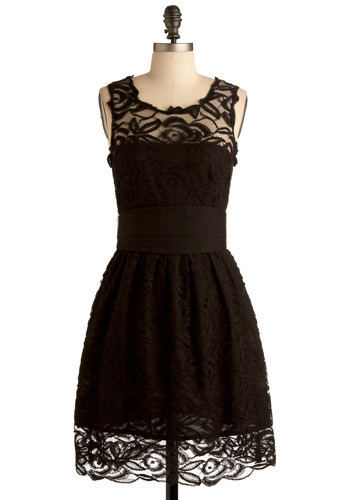 If you are worried about the contrast between the fabric colour and the black, why not add black lace to the bodice. 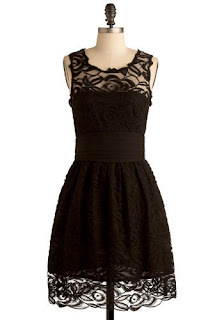 This dress is cute! If it was sold in stores, I would buy it. It's so modern and beautiful! It was nice before, just a bit pedestrian. Now it looks DESIGNED on purpose. :-) I truly admire your willingness to re-do and up-do. I've sewn for years and years, and never had a problem reworking things, but you've got such a great imagination. Thanks for the inspiration, and I hope you've made great plans for getting out in this fabulous dress! 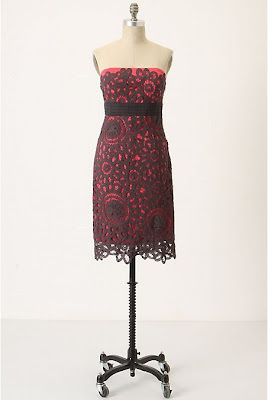 Because there is so much neck and shoulder area to work with, you can pair this dress with an elaborate, intricate piece of costume jewelry, or intricately woven black beaded necklace. I would continue with black bracelets and bangles and dangle earrings to draw the eye down to the neck. 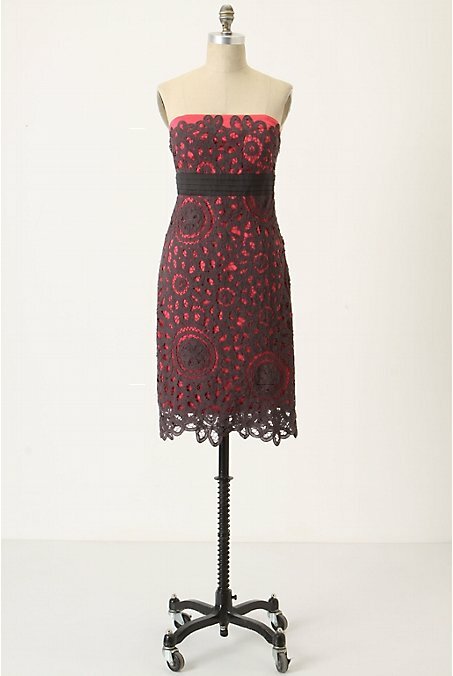 It's a perfect dress to showcase neck and earring jewelry!